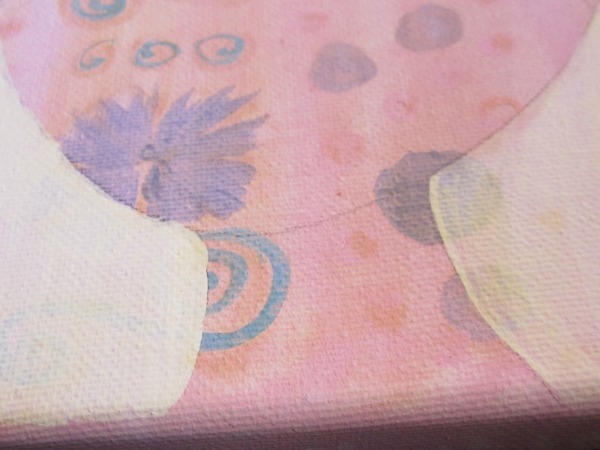 I've been working on the patterned painting that I started last week. 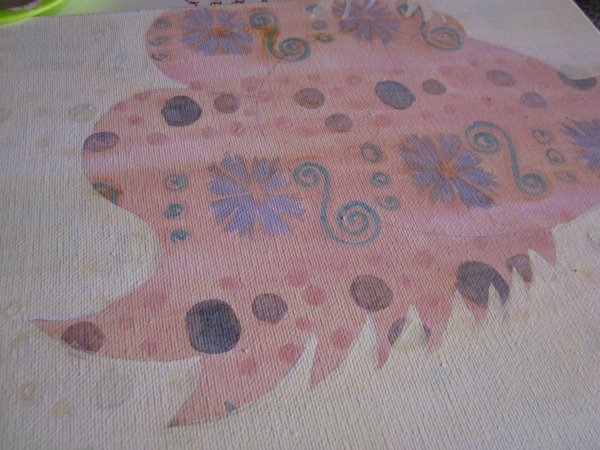 The stamping ink smeared quite a bit but I actually like the way it colored things as I painted. 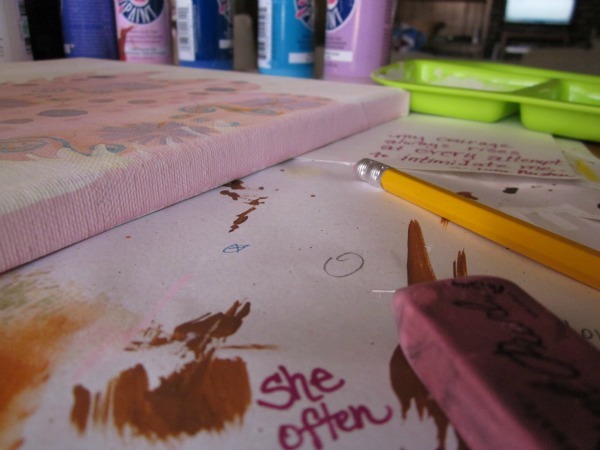 I may try stamping with paint next time just to cement the lines. But this time I enjoyed the lucidness of it moving and flowing as I painted. I'll be working on this for the next few days and hopefully be able to show you the completed painting next week. Wishing you a delicious, peaceful weekend! loving the beautiful colours and design Catherine, look forward to seeing it complete as know it will look wonderful. Love how the pattern in the background is just hinting through the soft white! Happy PPF! Beautiful pattern and color, can't wait to see more! HPPF! 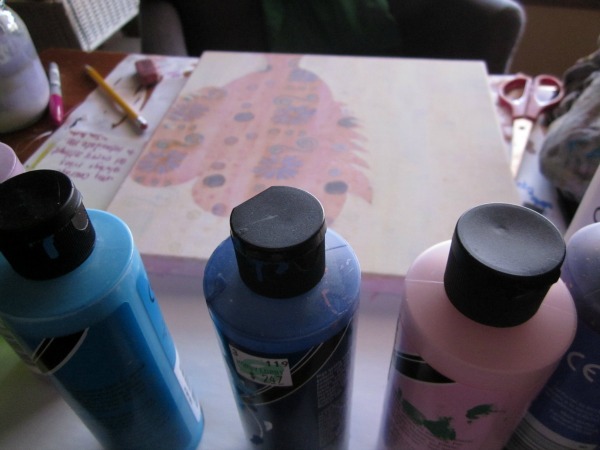 Gorgeous photos of your work process, Catherine! This is going to be spectacular... I can tell already. Love that pattern. I hope you show the finished piece. Beautiful work. 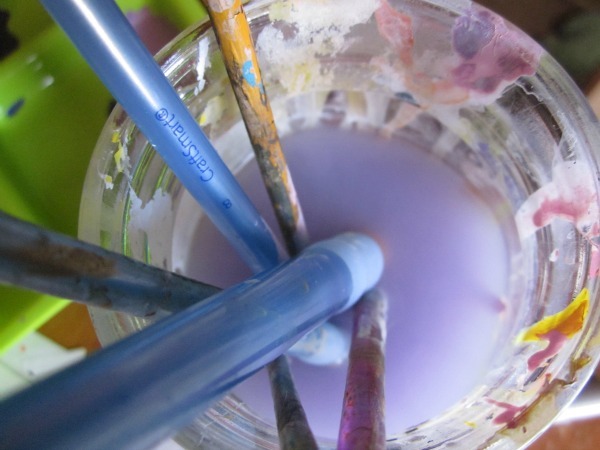 That first pretty and soft-colored layer looks like watercolors...very pleasant. So pretty! Love the way you've done patterns within silhouettes. Beautiful. Love the soft colors. Looking forward to see the end result! beautiful! I love how your pattern bleeds through. gorgeous.Happy PPF! I'm interested to see where this goes! Great start! I think it's looking fabulous, I didn't even notice the pattern bleeding! It's great! I love the light colors too. It's looking great on the canvas! Nice start, look forward to the finished project!! Very pretty! !